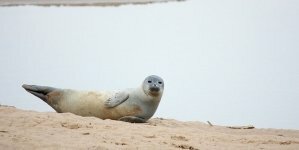 In honor of the time of year, this month’s Creature Feature focuses on a tiny, seemingly harmless crustacean that was once described as an “occult, secretive alien from the ancient depths of the sea.” Perhaps it earned that description by burrowing deep in the sand above the shoreline, or for its semi-translucent and ghostly appearance. The fact that it’s described as “semiterrestrial” doesn’t help its alien-ness, but that only means it lives partly on land and partly in the water, like most amphibians do. But the Atlantic ghost crab is not an amphibian, nor is it an actual ghost, an alien or a card-carrying member of the occult. 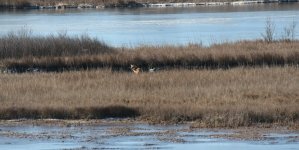 Rather, it’s a crab of the subfamily Ocypodinae, and it can be found along the shore of many beaches in the Chesapeake Bay region and some of the sandy, less-frequented bayside beaches of Ocean City. 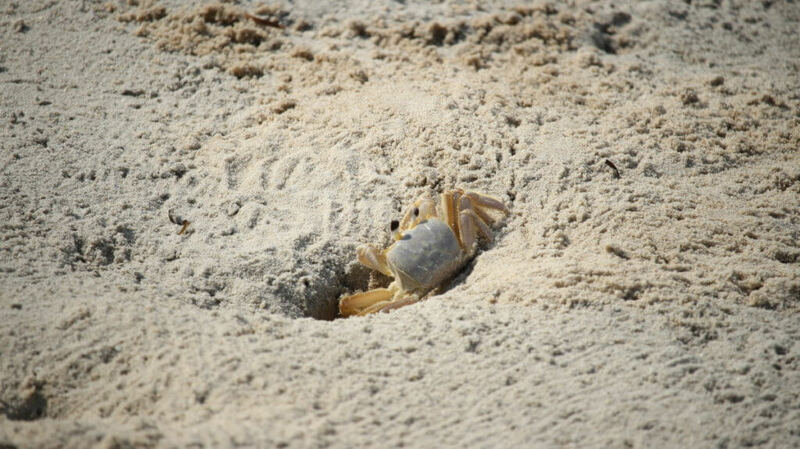 An Ocean City ghost crab comes out of its hole to look around. Photo by William Strang-Moya. In terms of Halloween anecdotes, he horned ghost crab is the devil to the Atlantic ghost crab’s ghost — though the horned subspecies is only found in the Indo-Pacific region, on the coast of East Africa to the Philippines and from Japan to the Great Barrier Reef. The adult Atlantic ghost crab has a white and sand-colored body, which it can change to match its surroundings and protect itself from predators. The name ghost crab comes from its pale coloring and semitranslucent shell, in addition to its nocturnal habits. 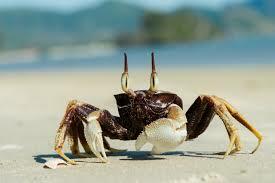 The ghost crab’s shell can reach a span of up to three inches, and males are typically larger than females. Its claws are white, and its eyestalks can rotate 360 degrees, Exorcist-style. Other species of ghost crab, like the horned ghost crab, are aptly named for the “horns” on their eyestalks. Ghost crabs shelter in burrows up to four feet deep that they dig in the sand near the intertidal zone of sandy beaches, where they hibernate during the winter. 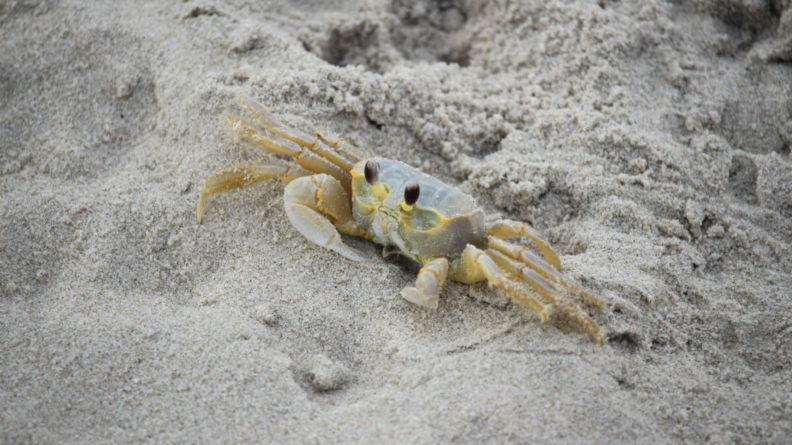 Ghost crabs are distributed in tropical and subtropical regions all over the world, though the Atlantic subspecies spans the coast from up north in Rhode Island, down south to Brazil. 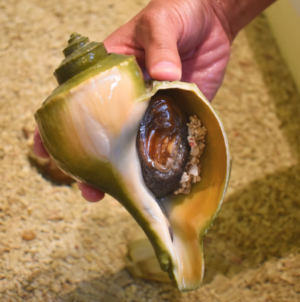 The Latin name of their genus, Ocypode, means “swift-footed,” and at even the slightest hint of danger, the ghost crab will swiftly dart away from predators back into their burrow or into the sea, or otherwise flatten their bodies under the surface of the sand. 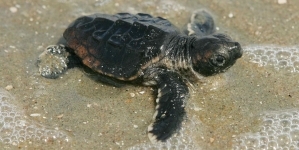 Predators include shorebirds and raccoons, and Ocean City seagulls can often be found scavenging for the swift little crabs. Ghost crabs are omnivorous and prey on small animals like sea turtle eggs, hatchlings, and other crabs, in addition to scavenging for debris, carrion and vegetation. Going back inside. Photo by William Strang-Moya. The conservation status of the Atlantic ghost crab is stable, although their populations are negatively affected by human activity on their beach habitats. Ghost crab burrows are considered ecological indicators for the impact of human disturbance on a particular beach. 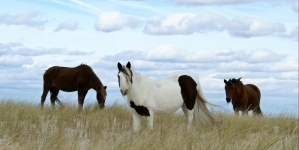 They’re not as likely to be seen on Ocean City’s heavily-trafficked oceanfront beaches as they are on emptier, bayside beaches, and our pictures were taken on the beach at Sunset Park. 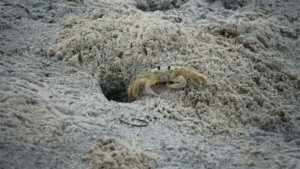 Help a ghost crab out: Humans can easily collapse crab burrows, so watch your step when you’re out looking for them. Keep from driving the ghost crabs from their natural habitat by being mindful of their shelters, and by picking up stray trash that can trap the small crustaceans (this is a nice thing to do for ghost crabs and any other living creature that uses the beach). Also, no, you can’t eat them. Stick to blue crabs for sustenance.